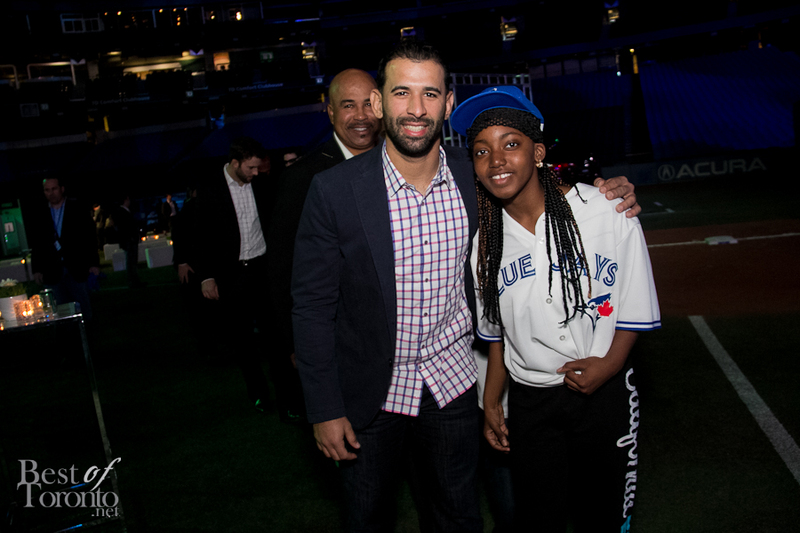 More than 1,000 VIP guests gathered for a gala right on the field of the Rogers Centre for the well-attended annual Curve Ball, up from 800 in the previous year. This year the theme was “denim and diamonds”. The large field had upscale silent auction items in glass displays as well as a baseball bat gallery with one-of-a-kind baseball bats signed by the corresponding Blue Jays players available for bidding as well. There was a lot of demand for customizing Blue Jays New Era baseball caps. The youth from the Toronto Community Housing Rookie Leaguers got to walk onto the field alongside the Toronto Blue Jays and also got their Blue Jays jerseys signed. The evening was emceed by Sportsnet’s Evanka Osmak and Jamie Campbell. Entertainment was provided by Soular entertaining guests with top 40 hits. An Acura Home Run Draw featured a raffle prize of an SUV, a 2013 Acura RDX. 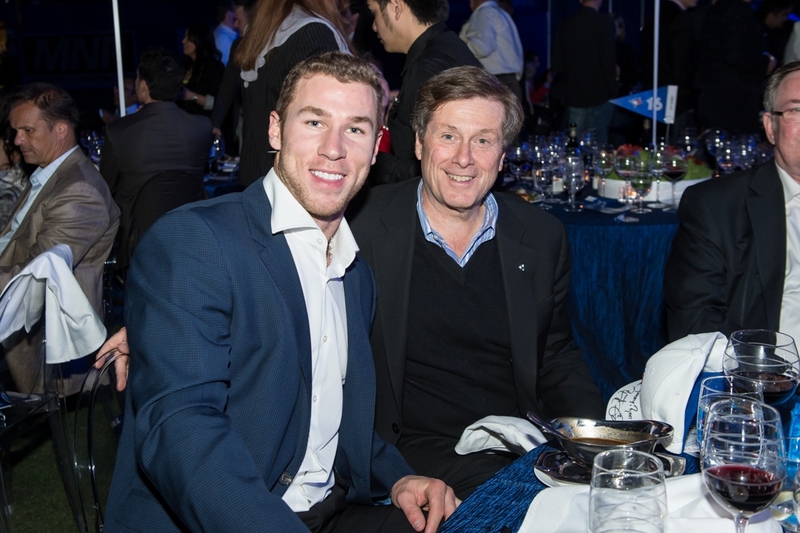 Besides the Blue Jays, other notable guests included John Tory, Carrie-Lynn Neales (Seed TV), Tracy Moore (Cityline), and Randal Edwards (Package Deal star). 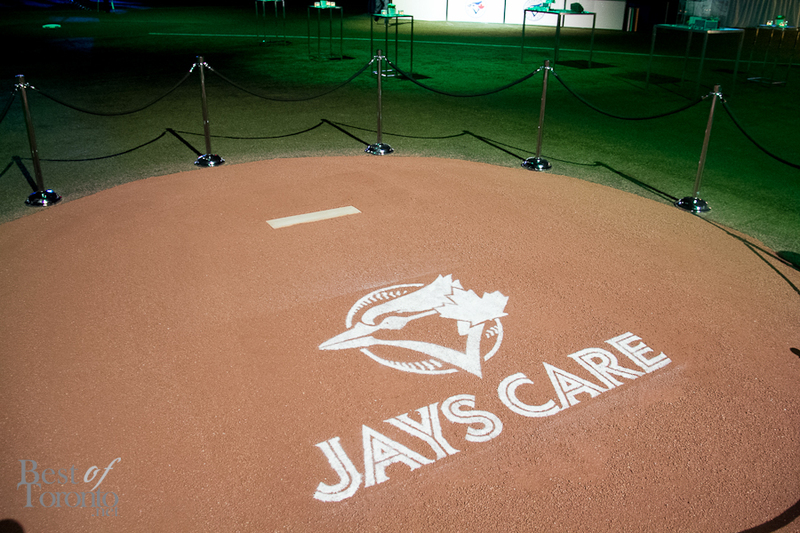 Congrats for raising $950,000 in support of the Jays Care Foundation! Check out one of the bats featured at the Curve Ball created by Jon Shaw. The bat features imagery based on Blue Jays Melky Cabrera (#53)’s interests, signed by Cabrera himself and sold at the silent auction with funds raised going to the Jays Cares Foundation. The Curve Ball is one of many charitable events the Blue Jays and Jays Care Foundation hold each year to pump money and resources back into communities across the country. Provincial-wide, underprivileged youth have been able to participate in baseball programs in properly equipped facilities and get instruction from their favourite Blue Jays players. The dedicated efforts of the Jays Care Foundation led to the Blue Jays being named the 2012 recipient of the MLB Commissioner’s Award for Philanthropic Excellence. The Jays Care Foundation has invested more than $7.5 million in Canada’s children and communities. 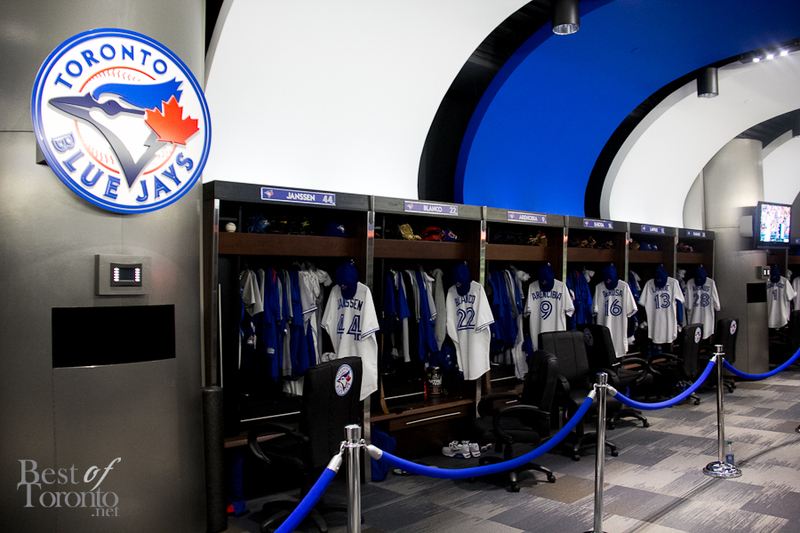 How often do you see this kind of decor at the Rogers Centre? 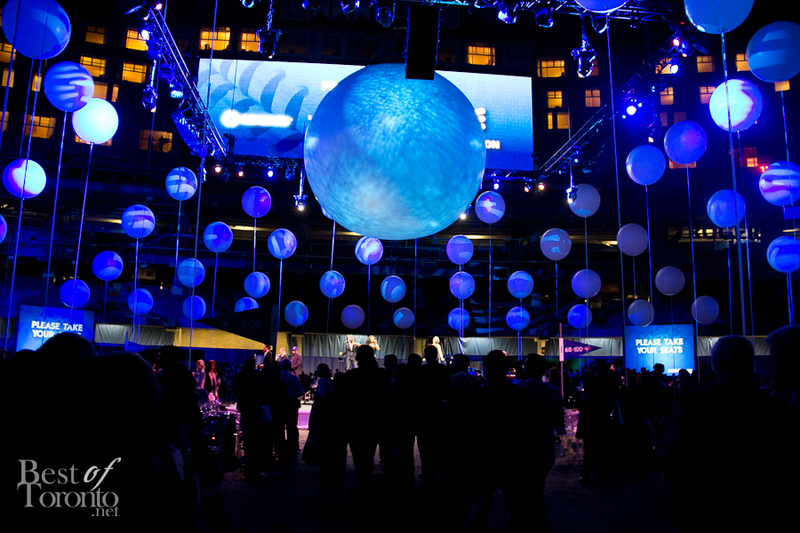 Also check out our coverage of the 100th Grey Cup gala which also took over the Rogers Centre. So if you love baseball and get the opportunity, you should definitely get tickets and join the annual Curve Ball gala.